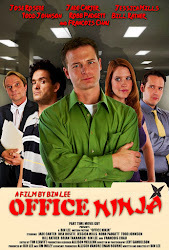 Office Ninja: Happy Thanksgiving Day! Please enjoy these production stills of Jade Carter and the poster! See you next Tuesday, the day of my private screening... EEK!